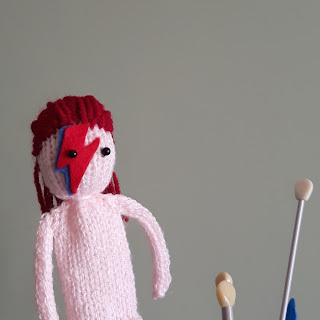 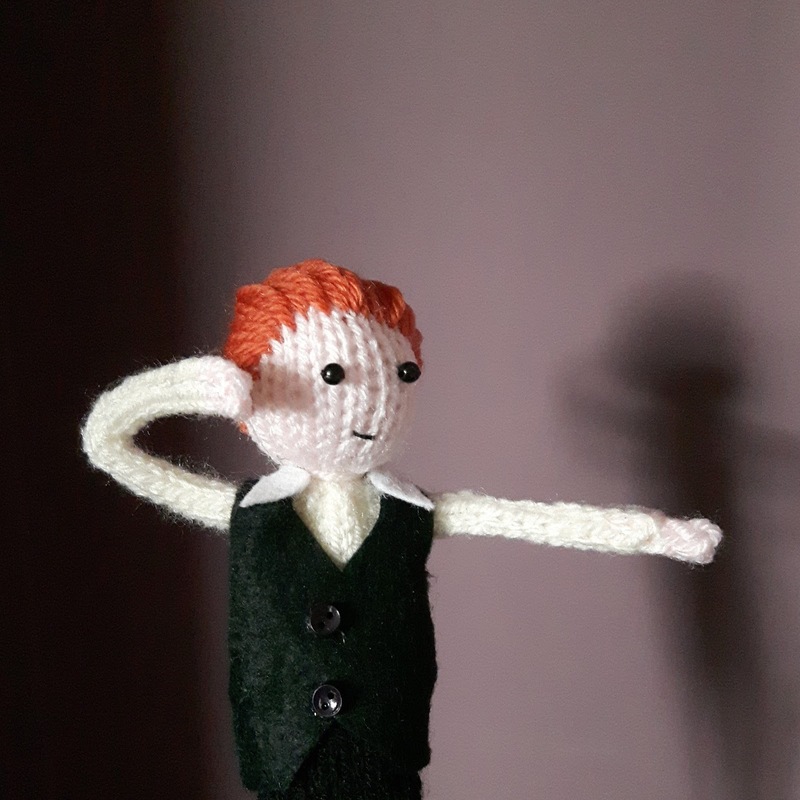 I’m currently knitting a series of David Bowie incarnations to commemorate what would have been his 70th birthday on the 8th January, and the first anniversary of his death on the 10th January. 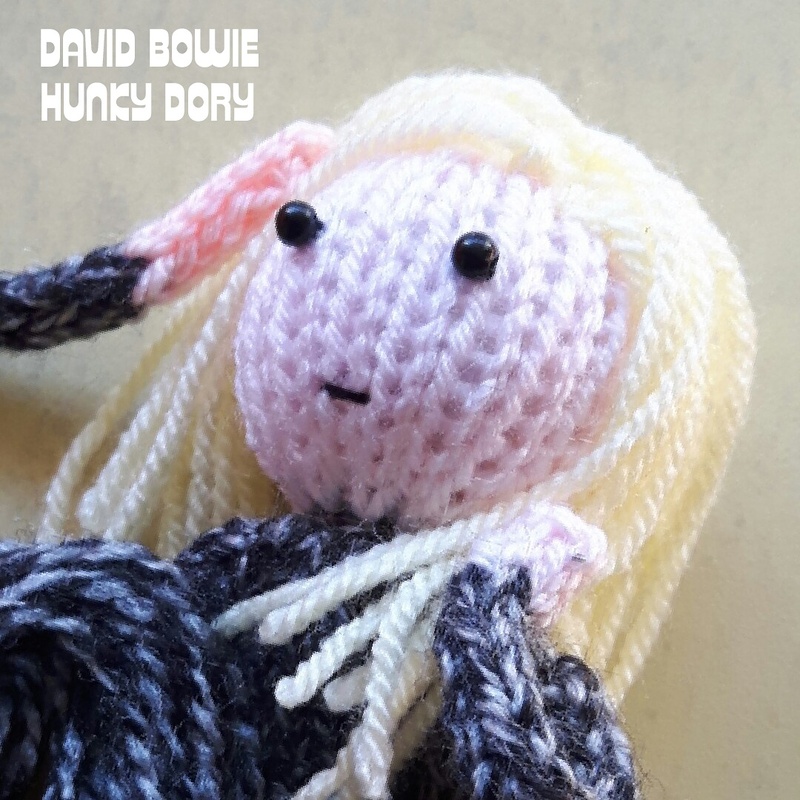 Here’s my knitted version of the Hunky Dory LP cover, and the Thin White Duke. 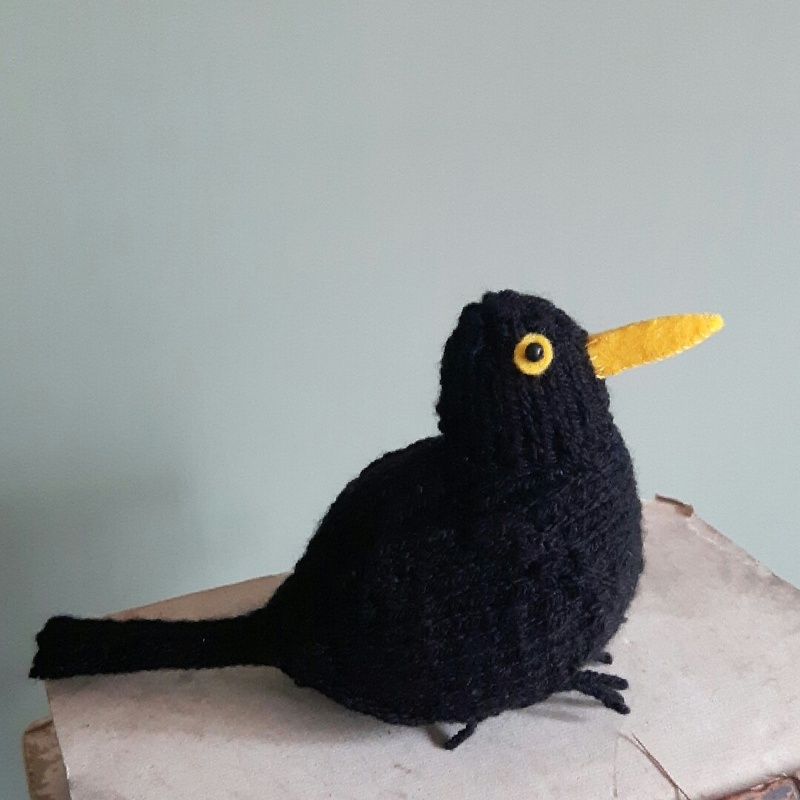 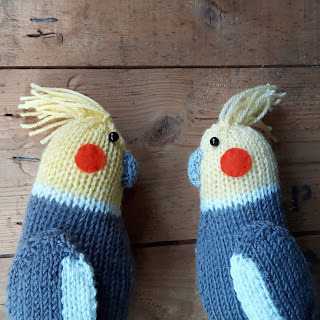 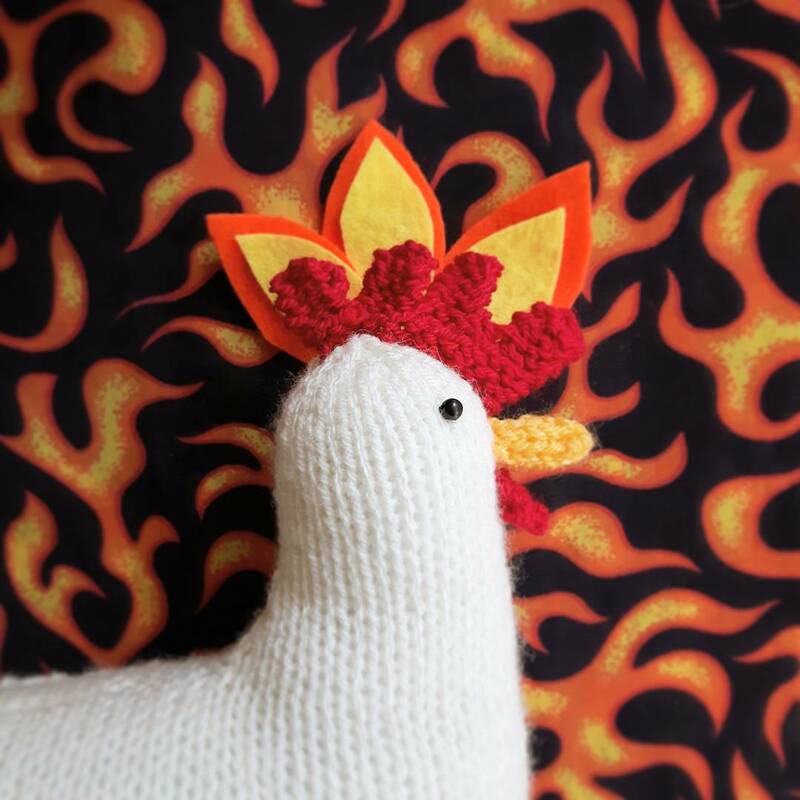 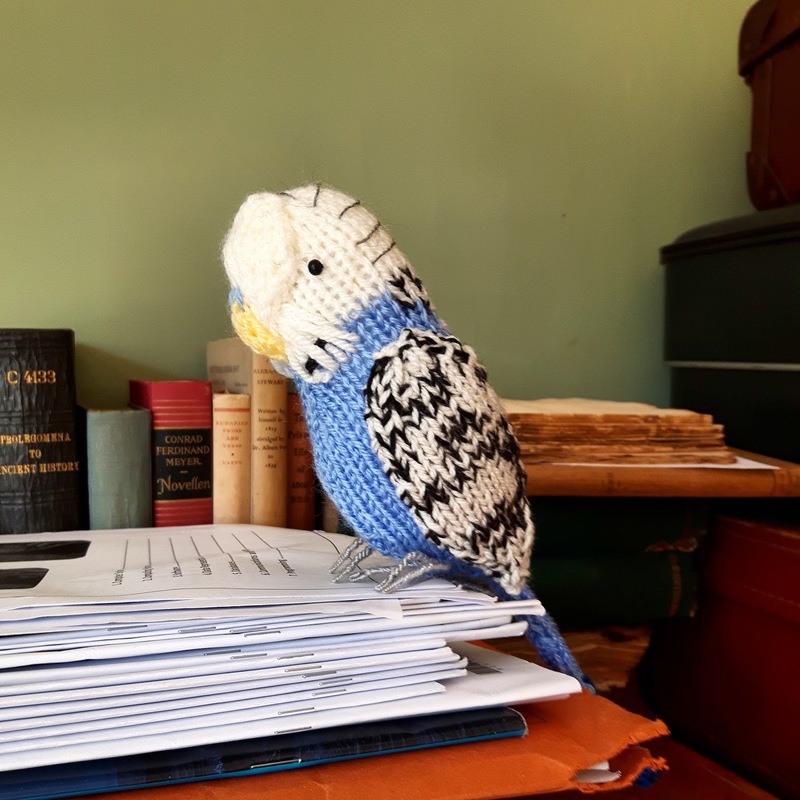 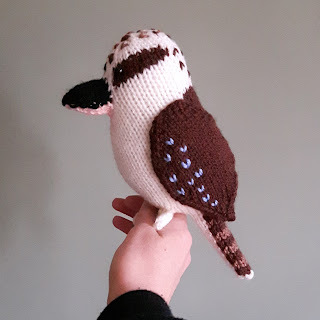 This little knitted blackbirds is still one of my favourites to knit – the pattern is in my book Knitted Birds, if you fancy making one yourself. At this time of year the blackbirds in my garden seem more friendly than usual and come right up to my feet some days, when I go out to top up the bird feeders. 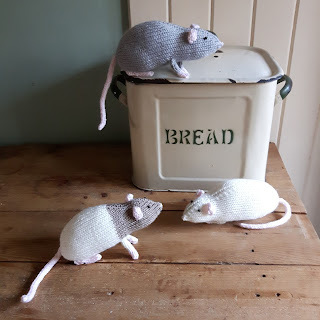 I throw them a handful of suet pieces onto the grass and then have to wait for them to finish, otherwise the seagulls come and eat it. Eek! The kitchen has been invaded by knitted rats! Don’t worry, they are all very friendly. 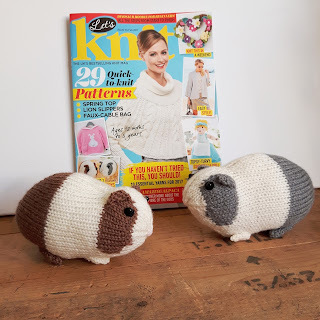 They are cuddly rats that you can knit up using oddments of DK yarn – and they are knitted flat on two needles so are a nice, easy knit. 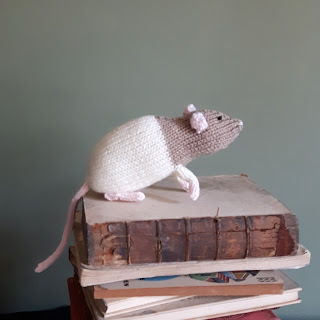 The pattern is in my Etsy shop, and also available as a Ravelry download.